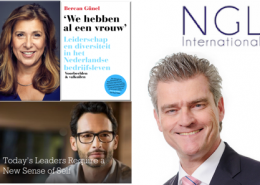 Reflecties over "We hebben al een vrouw"
This article summarizes some reviews on Bercan Günel's book 'We hebben al een vrouw' (We already have one woman) - in Dutch. 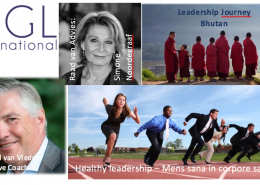 http://www.ngl-international.com/wp-content/uploads/2017/11/Aanbieding-cover.png 900 744 Bas http://www.ngl-international.com/wp-content/uploads/2018/07/NGL_logo_trans-1.png Bas2017-11-18 09:40:012018-08-29 22:25:50Reflecties over "We hebben al een vrouw"
Book launch: ‘We hebben al een vrouw’ (We already have one woman) | Today’s leaders require a new sense of self | Ron de Mos joins NGL Community of Executive Coaches. - partly in Dutch. 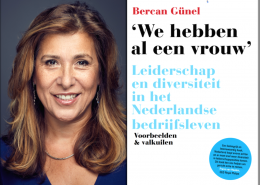 Bercan Günel recently launched her boek 'We hebben al een vrouw' (We already have one woman). 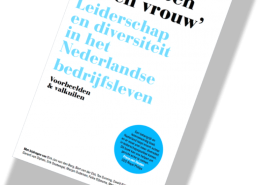 The book addresses the role of leadership in implementing/realizing diversity within organizations.- in Dutch. 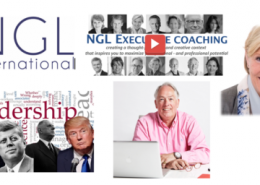 Monika Milz joins NGL Executive Coaching | Executive Search should not be hit and run but a long-term commitment | Reflections: You can tell a leader by his or her team. 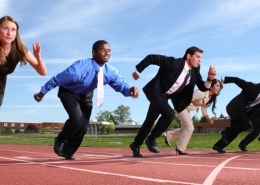 The comfort of having like-minded people in your team or having a diverse team with different backgrounds, beliefs and experiences. 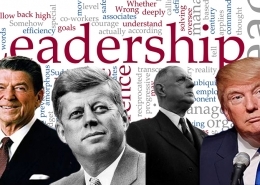 What’s the role of the leader? Please note the following post is in Dutch.